The Republic and Canton of the Jura (French : République et canton du Jura), also known as the canton of Jura or canton Jura, is the newest (founded in 1979) of the 26 Swiss cantons, located in the northwestern part of Switzerland. The capital is Delémont. It shares borders with the canton of Basel-Landschaft, the canton of Bern, the canton of Neuchatel, the canton of Solothurn, and the French régions of Bourgogne-Franche-Comté and Grand Est. 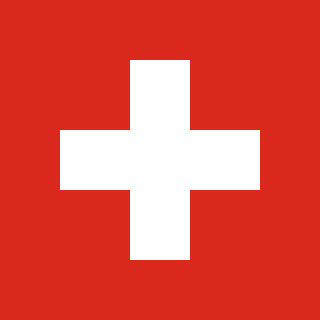 The 26 cantons of Switzerland are the member states of the Swiss Confederation. The nucleus of the Swiss Confederacy in the form of the first three confederate allies used to be referred to as the Waldstätte. Two further major steps in the development of the Swiss cantonal system are referred to by the terms Acht Orte and Dreizehn Orte ; they were important intermediate periods of the Ancient Swiss Confederacy. The King of Burgundy donated much of the land that today makes up canton Jura to the Bishop of Basel in 999. 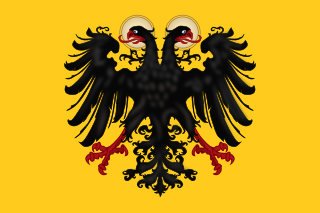 The area was a sovereign state within the Holy Roman Empire for more than 800 years. After the Treaty of Westphalia in 1648 the Jura had close ties with the Swiss Confederation. At the Congress of Vienna (1815), the Jura region became part of the canton of Bern. This act caused dissention. The Jura was French-speaking and Roman Catholic, whereas the canton of Bern was mostly German-speaking and Protestant. After World War II, a separatist movement campaigned for a secession of Jura from the canton of Bern. After a long and partly militant struggle, which included some arson attacks by a youth organisation Les Béliers, a constitution was accepted in 1977. In 1978 the split was made official when the Swiss people voted in favour, and in 1979 the Jura joined the Swiss Confederation as a full member. The canton celebrated its independence from the canton of Bern on 23 June. However, the southern part of the region, which is also predominantly French-speaking but has a Protestant majority, opted not to join the newly formed canton, instead remaining part of the canton of Bern. Although this decision may be considered strange linguistically, the choice may have been influenced by the fact that the canton of Bern is financially richer and is at the heart of federal power in Switzerland. The area is now known as Bernese Jura. The word Jura, therefore, may refer either to canton Jura, or to the combined territory of canton Jura and the Bernese Jura. Switzerland as a whole often presents the latter from a touristic standpoint with documentation easily available in French or German. Jurassic separatism is a regionalist independence movement in the Bernese Jura in Switzerland. On creation, the canton adopted the title Republic and canton of the Jura. Other cantons in Switzerland using the title "Republic and Canton" are Ticino, the canton of Geneva, and the canton of Neuchâtel. In each case, the title refers to the autonomy of the canton and its nominal sovereignty within the Swiss Confederation. The Republic and Canton of Geneva is the French-speaking westernmost canton or state of Switzerland, surrounded on almost all sides by France (Auvergne-Rhône-Alpes). As is the case in several other Swiss cantons, this canton is referred to as a republic within the Swiss Confederation. The Republic and Canton of Neuchâtel is a canton of French-speaking western Switzerland. In 2007, its population was 169,782, of whom 39,654 were foreigners. The capital is Neuchâtel. Since 1994, the question of the Jura region has again been controversial. In 2004, a federal commission proposed that the French-speaking southern Jura be reunited with the canton of Jura, as the language question now seems to be more important than the denominational one. A possible solution would be to create two half-cantons, as reunification with the creation of only a single canton would mean a complete restructuring of the Jura's current political system, with the cantonal capital being transferred from Delémont to Moutier. Delémont is the capital of the Swiss canton of Jura. The city has approximately 12,000 inhabitants as of 2013. Moutier is a municipality in the Jura bernois administrative district in the canton of Bern in Switzerland. It is located in the French-speaking Bernese Jura. Belprahon is a municipality in the Jura bernois administrative district in the canton of Bern in Switzerland. It is located in the French-speaking part of the canton in the Jura mountains. Sorvilier is a municipality in the Jura bernois administrative district in the canton of Bern in Switzerland. It is located in the French-speaking Bernese Jura. Canton Jura lies in the northwest of Switzerland. It consists of parts of the Jura mountains in the south and the Jura plateau in the north. The Jura plateau is hilly and almost entirely limestone. The districts of Ajoie and Franches-Montagnes lie in this region. The term "Jurassic" is derived from the Jura Alps, strata of which date to that era. To the north and the west of the canton lies France. The canton of Solothurn and Basel-Landschaft are to east of the canton, while the canton of Bern bounds the Jura to the south. The rivers Doubs and the Birs drain the lands. The Doubs joins the Saône and then the Rhône, whereas the Birs is a tributary to the Rhine. ↑ "Liste officielle des communes de la Suisse - 01.01.2008". Office fédéral de la statistique. Archived from the original on 12 June 2009. Retrieved 15 December 2008. ↑ Nationalratswahlen: Stärke der Parteien nach Kantonen (Schweiz = 100%) (Report). Swiss Federal Statistical Office. 2015. Archived from the original on 2016-08-02. Retrieved 2016-08-05. ↑ Federal Department of Statistics (2004). "Wohnbevölkerung nach Religion". Archived from the original (Interactive Map) on 2016-09-24. Retrieved 2009-01-15. ↑ Federal Department of Statistics (2008). "Ständige Wohnbevölkerung nach Staatsangehörigkeit, Geschlecht und Kantonen". Archived from the original (Microsoft Excel) on December 15, 2008. Retrieved November 5, 2008. 1 2 3 4 Canton of Jura in German , French and Italian in the online Historical Dictionary of Switzerland . Harder, Hans-Joachim: Der Kanton Jura. Ursachen und Schritte zur Lösung eines Schweizer Minderheitenproblems, Frankfurt am Main 1978. Hauser, Claude: Aux origines intellectuelles de la Question jurassienne. Culture et politique entre la France et la Suisse romande (1910–1950), Diss. Fribourg 1997. Wikimedia Commons has media related to Canton of Jura . The canton of Solothurn, also canton of Soleure is a canton of Switzerland. It is located in the northwest of Switzerland. The capital is Solothurn. Saules is a municipality in the Jura bernois administrative district in the canton of Bern in Switzerland. It is located in the French-speaking Bernese Jura. Mont-Tramelan is a municipality in the Jura bernois administrative district in the canton of Bern in Switzerland. It is located in the French-speaking Bernese Jura. While the majority of the population speaks German, the German form of the municipality name, Tramlingen-Berg, is no longer used. Even though it is in the French-speaking part of the canton of Bern, there is a German public school. Court is a municipality in the Jura bernois administrative district in the canton of Bern in Switzerland. It is located in the French-speaking Bernese Jura. Perrefitte is a municipality in the administrative district of Jura bernois in the canton of Bern in Switzerland. It is located in the French-speaking Bernese Jura. Its old German names Beffert and Pfeffert are no longer in use today. Rebévilier is a municipality in the Jura bernois administrative district in the canton of Bern in Switzerland. It is located in the French-speaking Bernese Jura. Saicourt is a municipality in the Jura bernois administrative district in the canton of Bern in Switzerland. It comprises the localities of Le Fuet, Bellelay, La Bottiere and Montbautier. It is located in the French-speaking Bernese Jura. Delémont District is one of the three districts of the canton of Jura, Switzerland. Its capital, and that of the canton, is the city of Delémont. The district is almost entirely French-speaking and has a population of 38,341. Porrentruy District is one of the three districts of the canton of Jura, Switzerland. Its capital is the town of Porrentruy. The French-speaking district has a population of 24,573. Franches-Montagnes District is one of the three districts of the canton of Jura, Switzerland. Its capital is the town of Saignelégier. The French-speaking district has a population of 10,376. Emmental District in the Canton of Bern was created on 1 January 2010. It is part of the Emmental-Oberaargau administrative region. It contains 40 municipalities with an area of 690.45 km2 (266.58 sq mi) and a population of 97,057. Valbirse is a municipality in the Jura bernois administrative district in the canton of Bern in Switzerland. It is located in the French-speaking Bernese Jura.